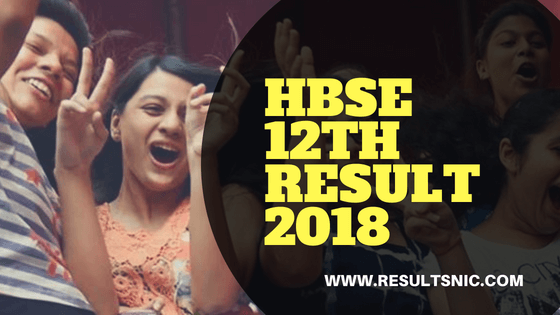 HBSE 12th result 2018 will be available on bseh.org.in after 3 pm on 18th May 2018. The Haryana Board of School Education (HBSE) will release the HBSE Senior Secondary Examination 12th Class Result on 18th May. The HBSE had conducted the Senior Secondary Examination (Class 12th) during March 2018. About 2,46,462 students attended the Haryana Class 12th exams that were held from March 7 to April 2. On the website, bseh.org.in students can find a link to the result page and get the result from that page. The website is down due to heavy traffic and the NIC division from Haryana is not publishing the result. So students must wait to get their Haryana 12th Results 2018. HBSE released the 12th results on May 18 last year. Overall 64.5 percent Class 12 candidates qualified for the higher studies last year, with girls outshone boys in the performance. 73.44 percent girl students qualified for higher education as compared to 57.58 percent boys last year. In 2017, a total of 2,10,867 students took the higher secondary or Class 12 examination, out of which 1,36,008 qualified. The Board of School Education Haryana or BSEH is conducting public examinations at secondary, high school level, and senior secondary school levels twice a year all over Haryana. The board was founded on 3 November 1969 in Chandigarh. The board supervises, organises, controls regulates and looks after the matters associated with school education in the state of Haryana. The BSEH is unique from other educational boards in India in the terms of the way it conducts the examinations. It was the first educational board in India to adopt the semester system and also the first board to introduce relative grading. The integral part of the BSEH, Haryana Open School (HOS) conducts the on-demand examination, annual and supplementary examinations at secondary and senior secondary levels. The main aim of HOS is to provide education to all those who can’t afford formal education due to social, financial and other reasons.